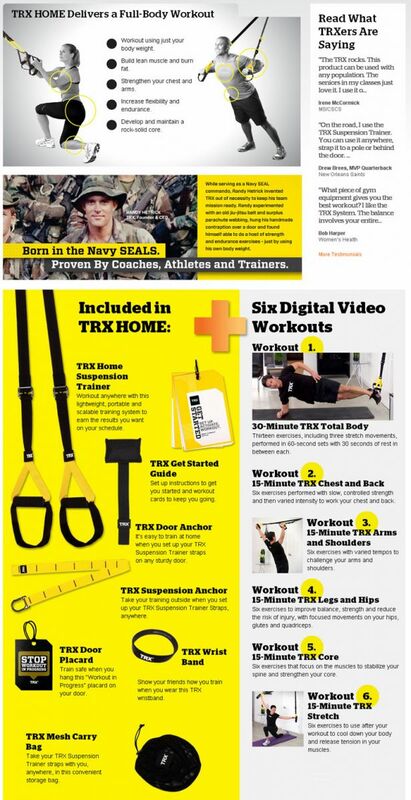 Build strength, power and mobility from any door in your home, with the TRX Home Suspension Training Program. Weighing less than 2-pounds and fitting inside a lunch bag, this innovative home gym builds strength, increases flexibility, and develops core stability and power--anytime you want, anywhere you want. All you need is a door, a tree branch, or any number of easy anchor points. The Home Pack with Door Anchor includes the TRX Suspension Training P2 Model used by pro-athletes, the US military, and top trainers everywhere. Rated for up to 1000 pounds the system mounts to any sturdy door with the TRX Door Anchor. 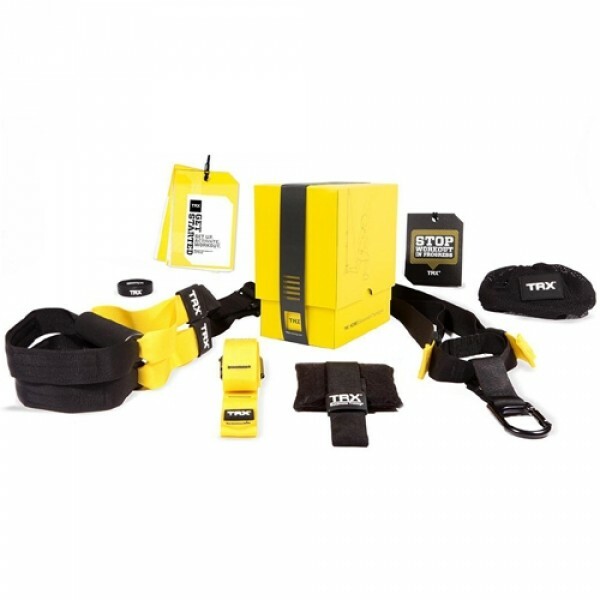 So all of your fitness bases are covered in this TRX starter kit, we've included the following: TRX Suspension Training P2 Model which features all new modular anchoring interface; TRX Door Anchor; 65 minute Basic Training DVD and full-color 35 page Workout Guide; 2 In box printed workouts: TRX Endurance Circuit and TRX Metabolic Blast; TRX Storage Bag.